Using WSJTX to test your antenna system is easy, we've documented how to do this on this page: WSPRX. But...maybe your don't want to tie up your transmitter and PC, you just want to plug in a box, switch on and let the rest happen automatically. QRP Labs sells the Ultimate3s beacon kit to do just this. This kit can be a little tricky to build, but it is doable and fun. This kit took me over four months to get this working from placing the order to making a proper contact.Why? Well I made some mistakes during the build, but also learned some things in the process. So on this page I'm going to share what I have learned about this kit in the hope that it helps others. The instructions that come with the kit are excellent and need no further explanation. However, there are some tips and advice which may help avoid potential pitfalls and improve your enjoyment of this great kit. The U3S requires a 5V supply, exceeding this will blow up the GPS board and processor. There is no forgiveness, so be very careful! 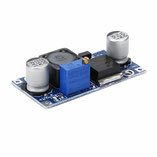 This device regulates the voltage regardless of the input voltage, so it will protect your U3S. It will also provide a nice stable supply. Glue your torroids down using hot-melt glue! The the Low Pass Filter filter boards are tricky to make and they're easily damaged during handling. To avoid damage I used hot melt glue to secure them in place after testing. 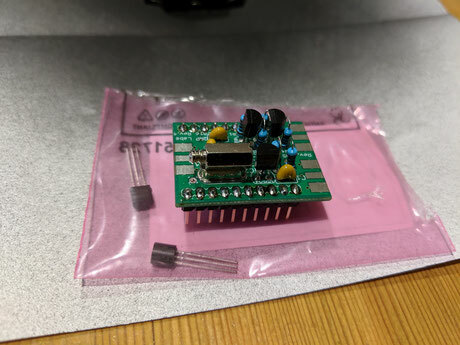 I found that it was much easier to use header pins and sockets to make this kit, soldering wires to the board will cause issues during testing and modification in the future. Boxes of header pins and sockets are available form Amazon and are extremely handy to have around the shack. The enemy of those WSPR spots is drift. As soon as your Q3S starts to transmit, it will heat up the crystal and you will get drift, this could stop you from logging any WSPR spots. So this is important. Protect your Si5351A from heat. To protect your Si5351A from heat you have glue a lump of metal to the crystal to slow and absorb any temperature variations. I also built a box around mine using thick plastic card to make a small box. This worked very well. Either way, solving heat related drift is going to be required for those WSPR modes, so you'll need to address this right away and should consider this during your build. Use Park mode to knock that drift out. All of the above were required before I could get those WSPR spots. If you fit the programming pins during initial assembly, you'll be able to flash your own micro controller very quickly and at minimal cost. Fitting the pins during the build could make life a little easier later on. Tip: I've included instructions on how to flash the AT328P below. 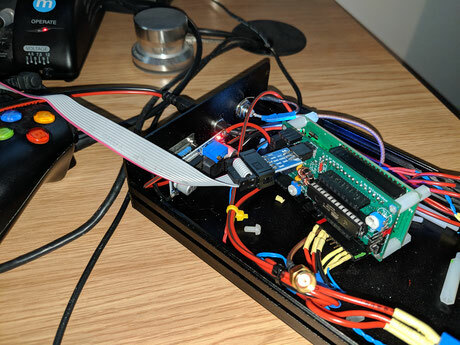 I did damage a couple of the micro controllers when setting up the U3S. It is far easier and cheaper to flash you own replacements. If you see an error, the check your settings and try again! My original QRP-Labs GPS module never really worked, but I wanted the automatic clock functions to make using the U3S easier. 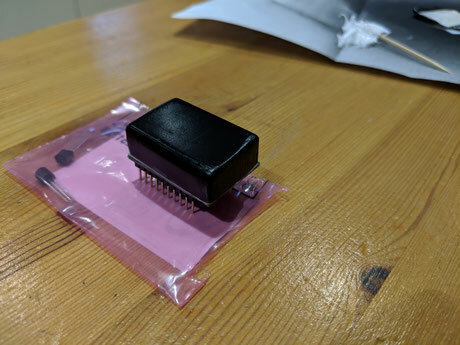 I didn't want to wait a further three weeks for a replacement kit so I started searching the internet and I soon found a suitable GPS module available from a well know on-line store for $10 USD (included next day delivery!). The replacement GPS module is smaller and works just fine. Not only does this GPS option leave much more room in the case for the receiver kit, it's also easier to mount the antenna to the top of the box. Tip: I also purchased a bigger GPS antenna which multiplied the satellite locks by 3!